Flight of the Conchords. . HD Wallpaper and background images in the Flight of the Conchords club tagged: flight of the conchords jemaine bret photo shoot f. scott schafer. 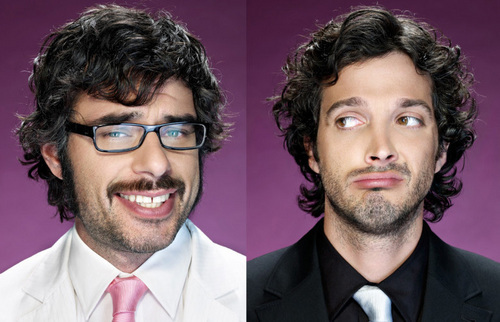 This Flight of the Conchords photo contains completo and vestito di affari. There might also be vestito, vestito di abiti, vestito dei vestiti, a tre pezzi, and abito tre pezzi.